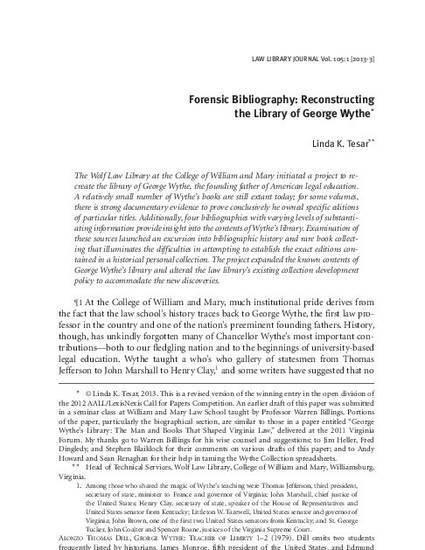 The Wolf Law Library at the College of William and Mary initiated a project to recreate the library of George Wythe, the founding father of American legal education. A relatively small number of Wythe’s books are still extant today; for some volumes, there is strong documentary evidence to prove conclusively he owned specific editions of particular titles. Additionally, four bibliographies with varying levels of substantiating information provide insight into the contents of Wythe’s library.  Examination of these sources launched an excursion into bibliographic history and rare book collecting that illuminates the difficulties in attempting to establish the exact editions contained in a historical personal collection. The project expanded the known contents of George Wythe’s library and altered the law library’s existing collection development policy to accommodate the new discoveries.